Mark Russell throws the readers right into it with Jayna doing the morning announcements at school while Zan gives an oral report about his embarrassing race. It's a fun way to meet the twins though having Jayna in charge of announcements so quick is way off, again, it's fun enough to slide. 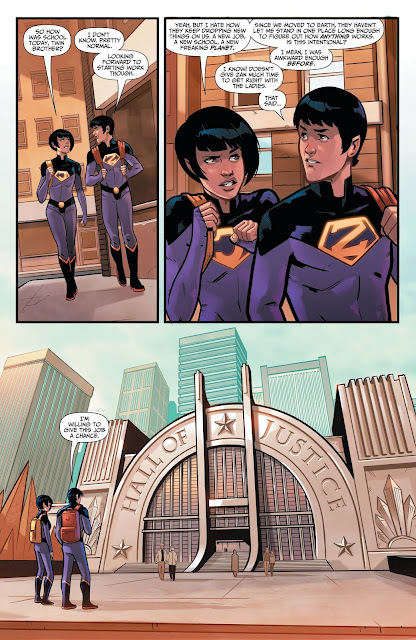 We don't get a ton of school here, but head off to the Hall of Justice where the Trinity discusses the Twins to give us a reason they are even here and then JL trouble breaks out. This is where I started having this nagging feeling that has been my issue in the Young Justice book. This book feels like it should lie a bit outside of the current continuity. It's not that anything is off, but this is one of the first times seeing Mxyzptlk since he turned the DCU continuity on its head (must be...) and here is here for shits and giggles. Actually, he is here for the giggles. 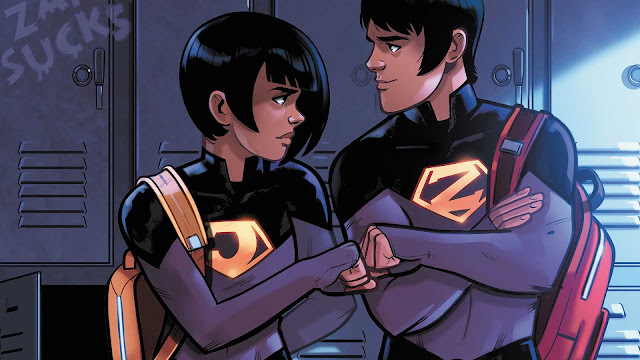 The interactions between the Twins and the League is fun, but still, it feels like it should be its own thing. Putting that aside, though, I had a smile on my face through most of this issue. Mark Russell gives us a pretty subtle issue overall and while he has fun with the Twins "power set", he doesn't overdo it at all. The issue ends with the Twins saving the day in a way that shouldn't really work, but I'll go with it for fun sake. I think the thing I liked the most about this issue is it is a contained one-shot story to get readers onboard and even though we don't get a crazy cliffhanger, I am going to be back next month. This book may have arrived at the right time for me. Sure, it feels like it's being forced into the current continuity a bit, but it is lighthearted and fun and pretty much what I wanted out of these Wonder Comics books. I have had issues with Mark Russell in the past, but not here. He actually impressed me a ton here and single handily has me excited again for the whole Wonder Comics imprint. Who would have thunk it? 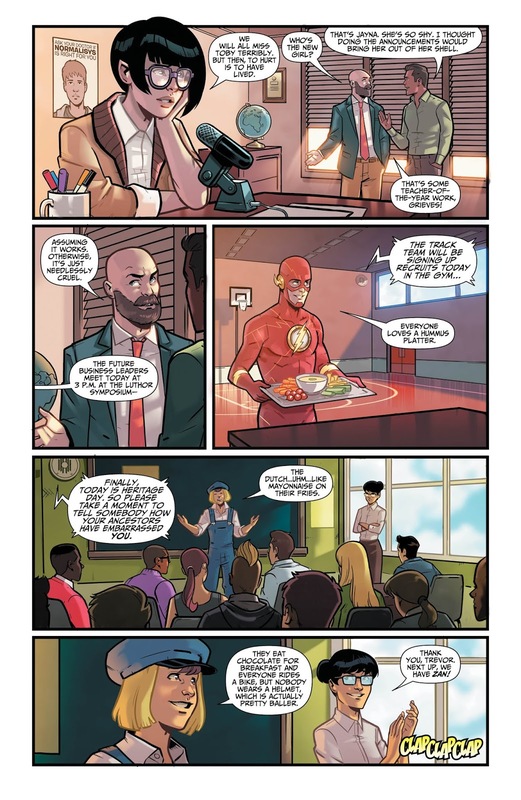 Stephen Byrne's art is another big reason I can suggest this book. It looks awesome and fits the fun tone of the story and it's characters so well. This book surprised the heck out of me. 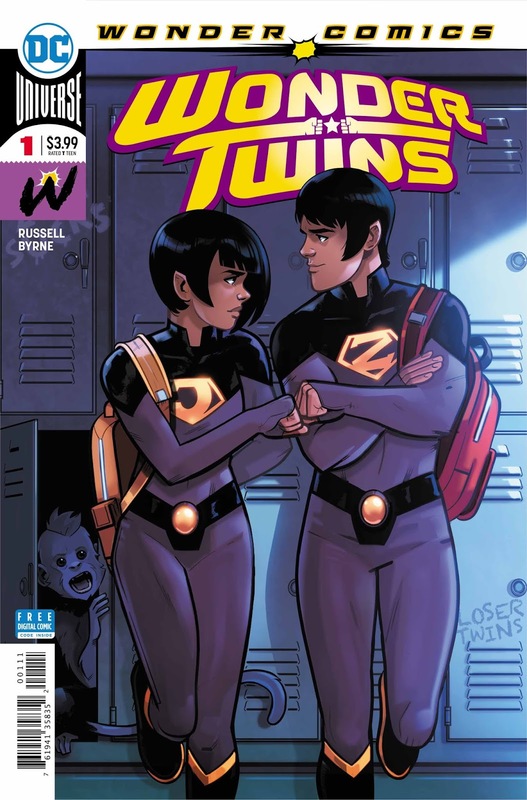 The Wonder Twins is a fun and a lighthearted book that is just what the doctor ordered if, like me, you have been down with the dark tone of the DCU lately. Mark Russell shows the love for his characters without overdoing anything and the art by Stephen Byrne is superb. Yea, the continuity feels a bit odd, but I can easily recommend this to anyone who wants to smile. Now, bring on Gleek!! !